Amazon’s Fire tablets have been a big success for the company, with the Kids Editions proving very popular with parents. As well as offering age-appropriate content, they come with a kid proof case which makes them much harder to break than regular tablets. Today the retail giant introduces a new model to the range. 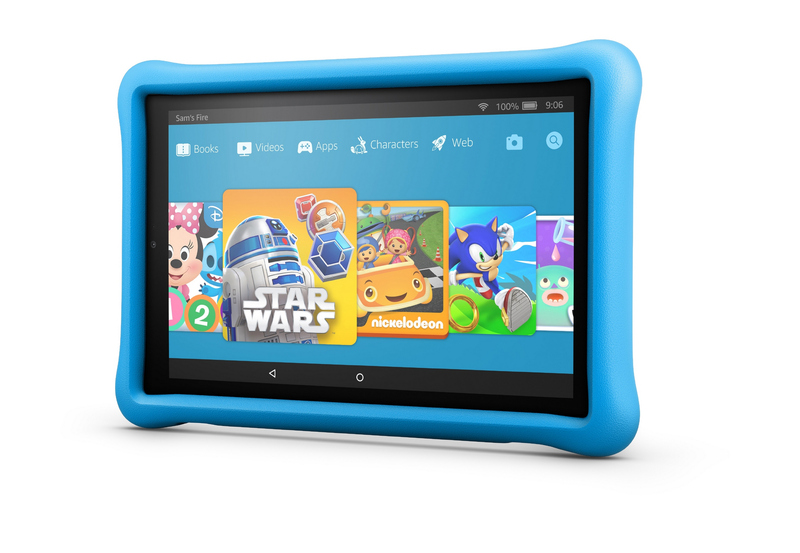 The Fire HD 10 Kids Edition is its largest kid friendly device to date, and for a price that’s very reasonable. The Fire HD 10 Kids Edition offers a 10.1-inch 1080p Full HD display, an ultra-fast quad-core processor, 32 GB of storage with up to 256 GB of expandable storage via a microSD card, and up to 10 hours of battery life. It comes with a year of Amazon FreeTime Unlimited, which provides access to more than 15,000 books, videos, educational apps, and curated games, as well as to tens of thousands of hand-selected websites and YouTube videos and parental controls. "Our Fire Kids Edition tablets provide the perfect balance of offering age-appropriate content kids love and tools parents trust, and we’re thrilled that customers have made us the #1 best-selling kids tablet in the US," said Kurt Beidler, Director of Kids & Family, Amazon. "Our latest kids tablet, the all-new Fire HD 10 Kids Edition, is the largest and fastest kids tablet we’ve ever offered, with a beautiful 10.1" 1080p Full HD display, ultra-fast processor, and thousands of books, videos, apps and games -- we think families are going to love it." The all-new Fire HD 10 Kids Edition is available for pre-order starting today for $199.99 at www.amazon.com/FireHD10KidsEdition and starts shipping July 11. It is available in blue, pink, and yellow. As a special introductory offer, Fire HD 10 Kids Edition tablets are available in a multi-pack option. Buy two tablets and save $100.